Item # 309416 Stash Points: 3,495 (?) This is the number of points you get in The Zumiez Stash for purchasing this item. Stash points are redeemable for exclusive rewards only available to Zumiez Stash members. To redeem your points check out the rewards catalog on thestash.zumiez.com. 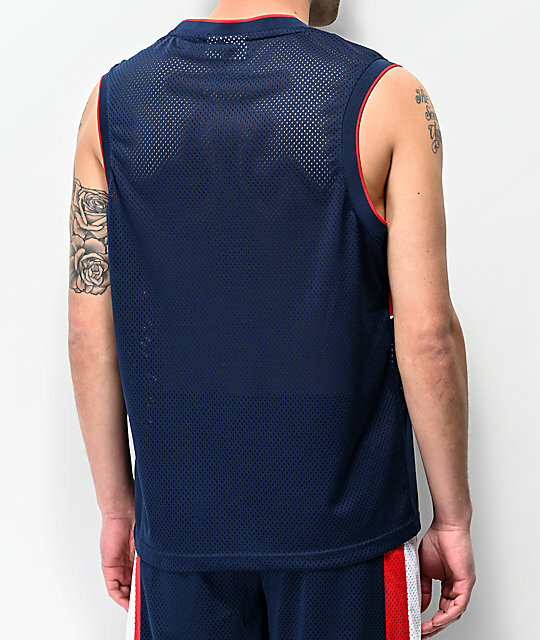 Embodying a classic basketball jersey silhouette, FILA presents their Founder Navy, Red and White Mesh Tank Top. 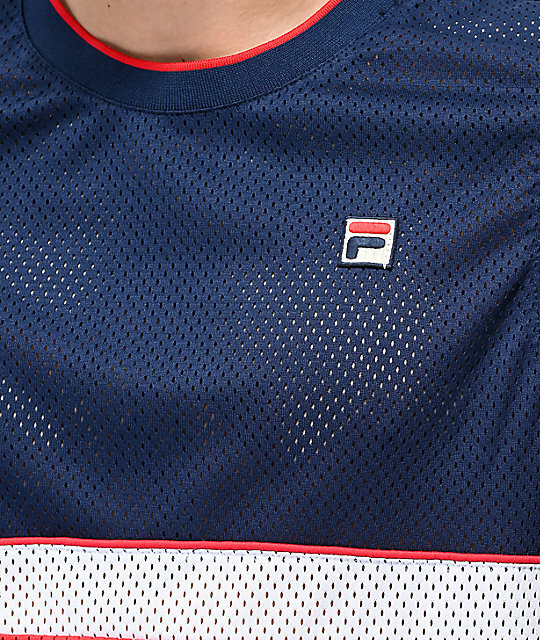 This sporty garment comes in FILA's signature tri-toned color scheme while also displaying their classic logo patch on the left chest for an authentic look. 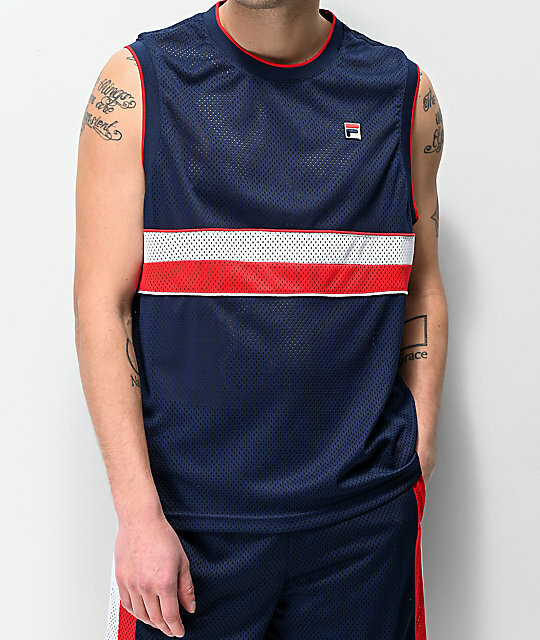 Founder Navy, Red and White Mesh Tank Top from FILA. Navy colorway with white and red stripes at front mid-torso. Navy and red striped ribbed collar and arm openings.